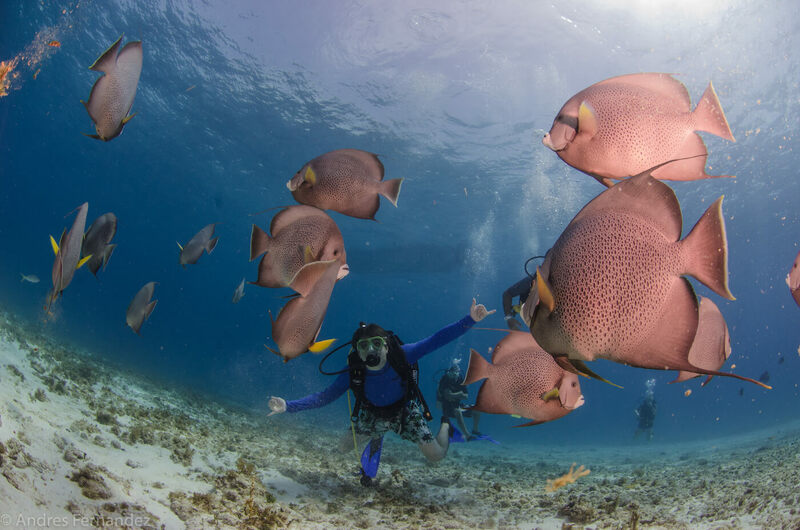 We believe that there’s no better place to do so than Isla Mujeres, a tropical island jewel in the Caribbean Sea. 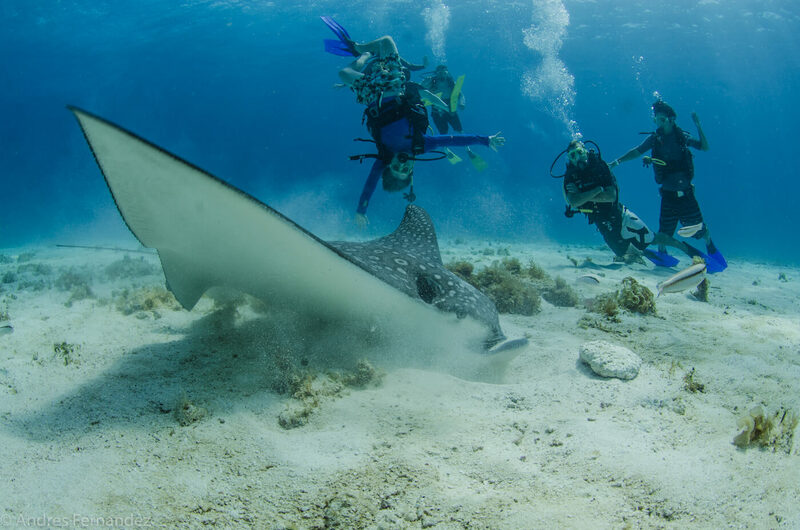 Our many visitors that return year after year will happily back us up, or the travelers that came for a week and just never left! 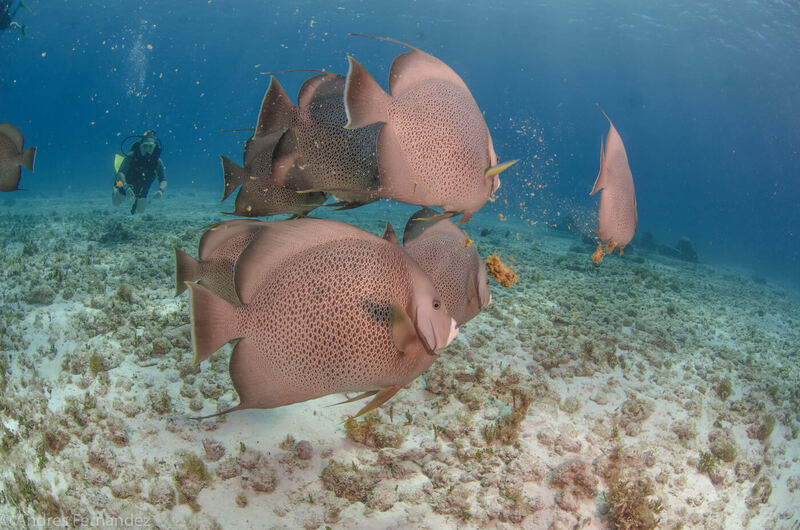 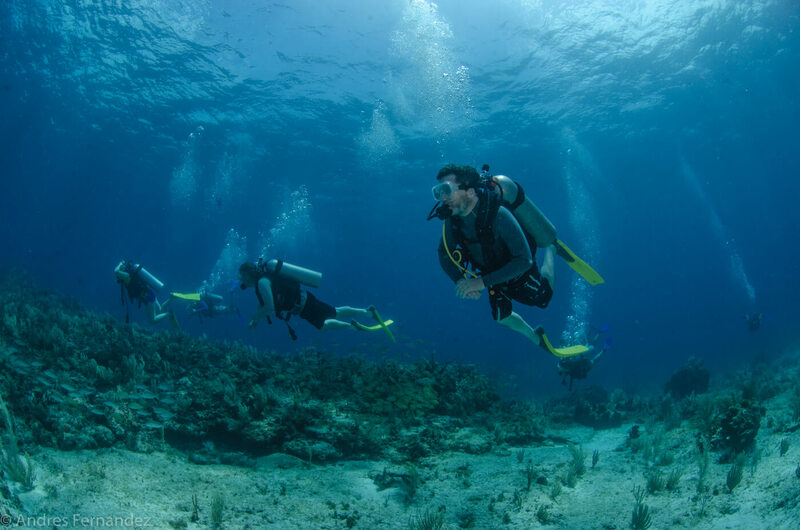 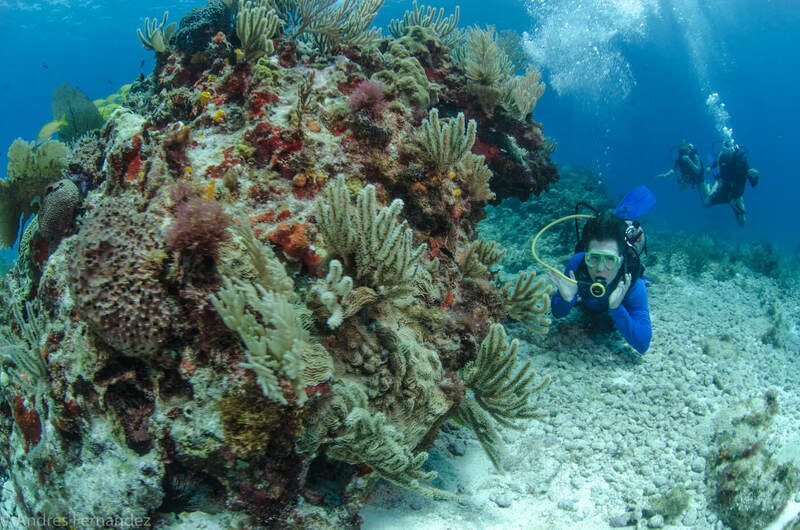 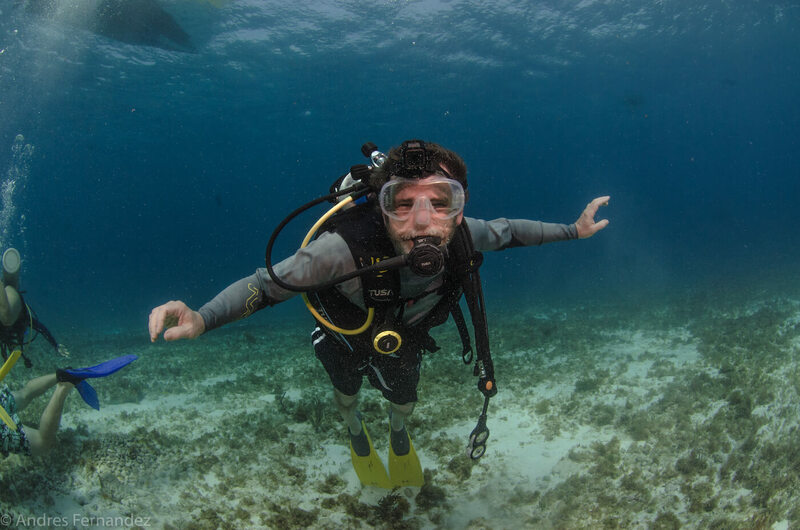 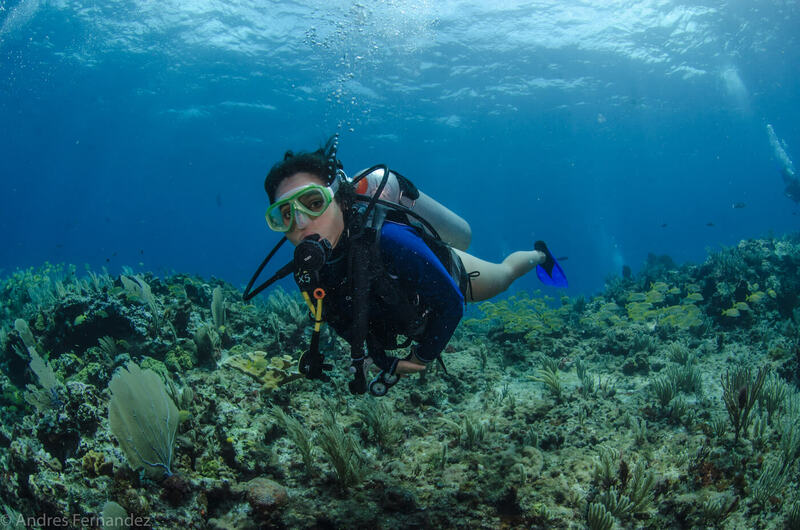 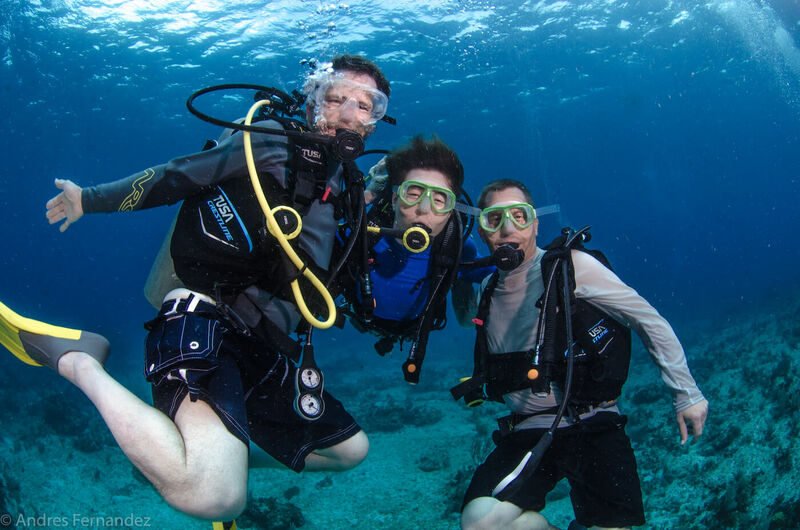 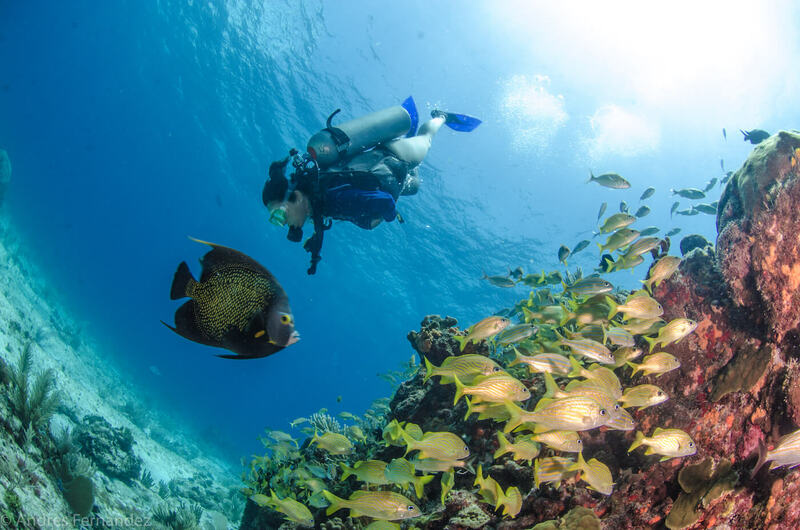 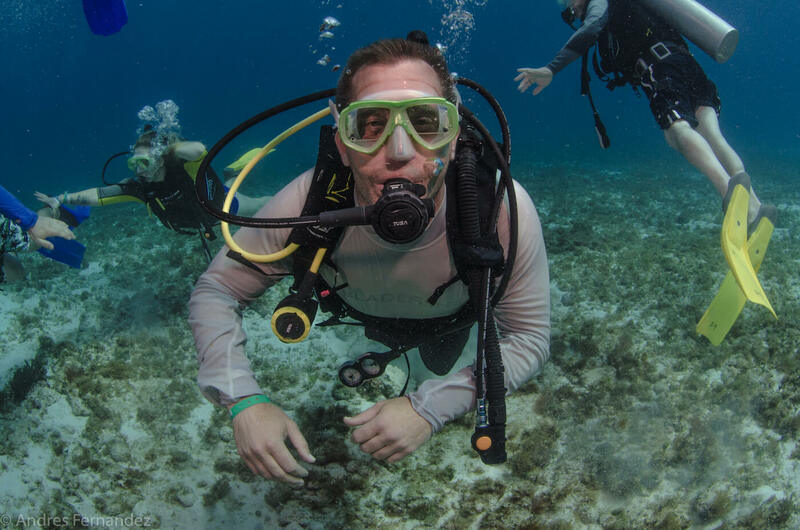 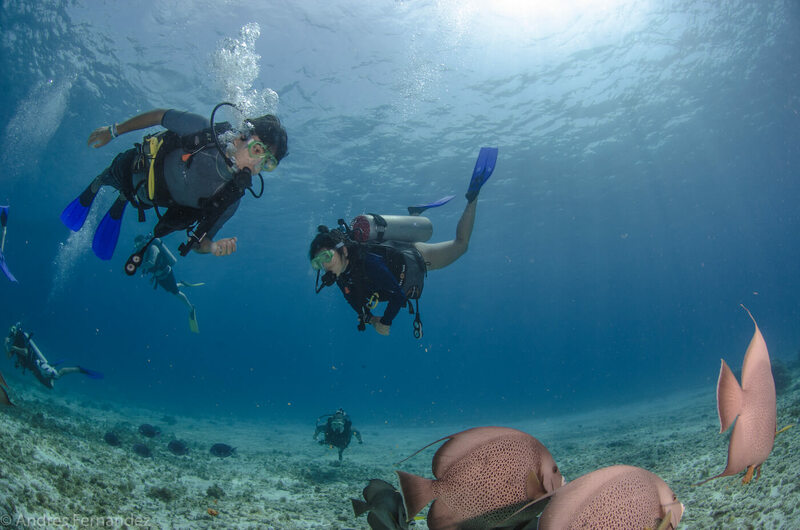 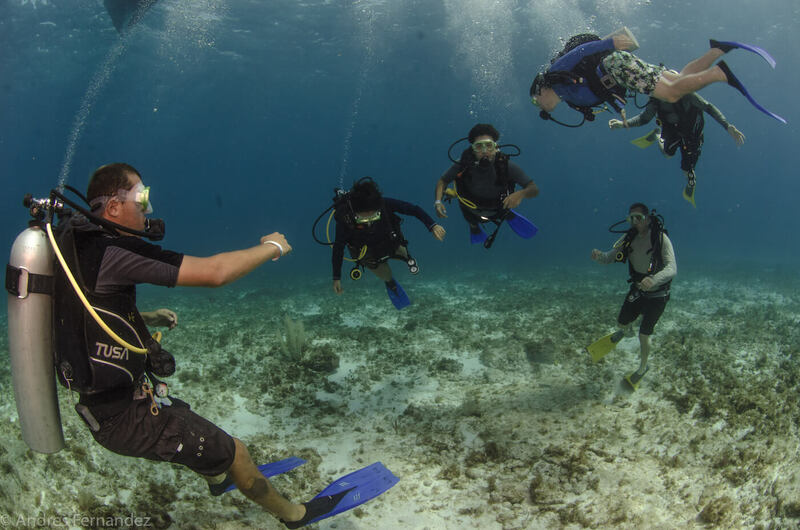 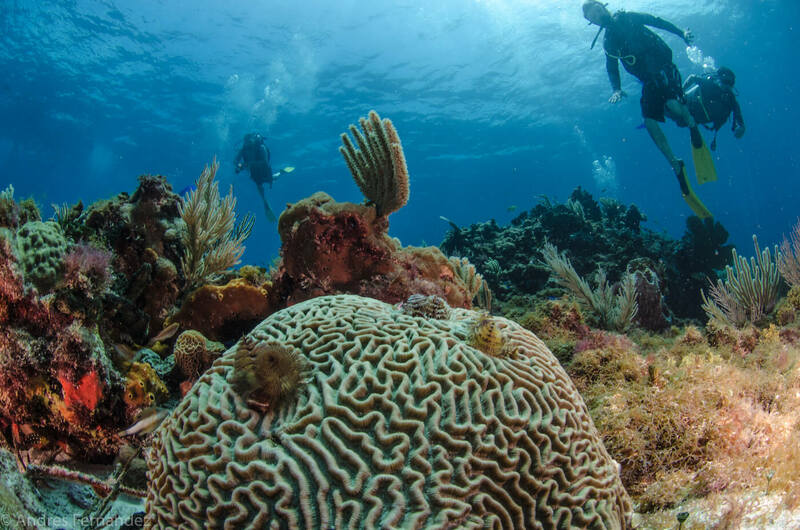 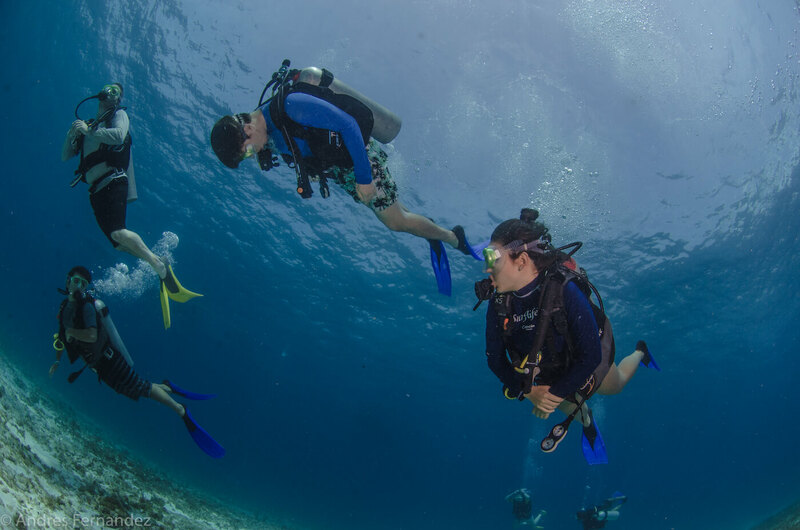 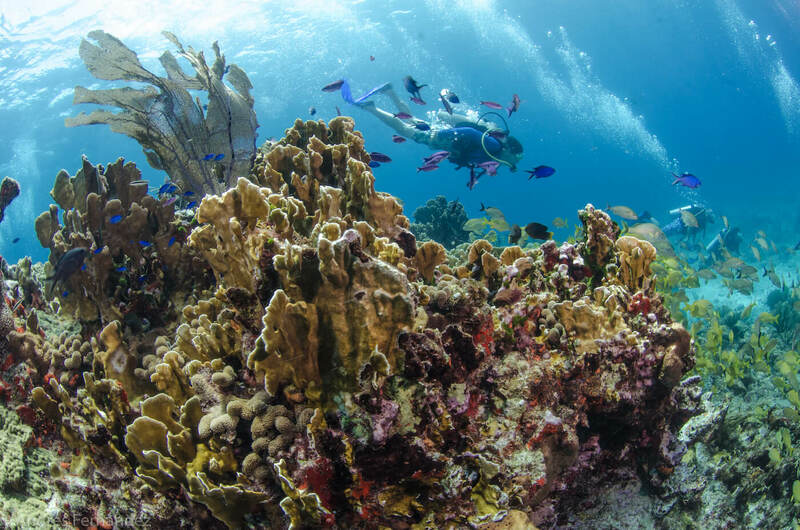 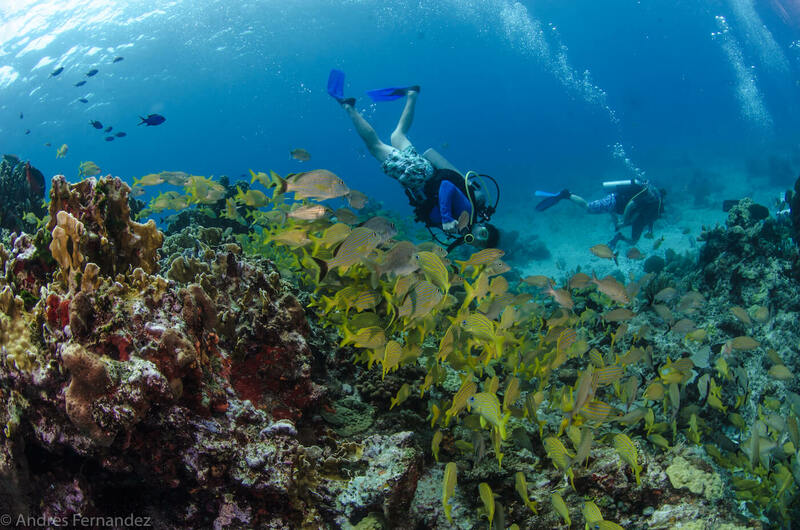 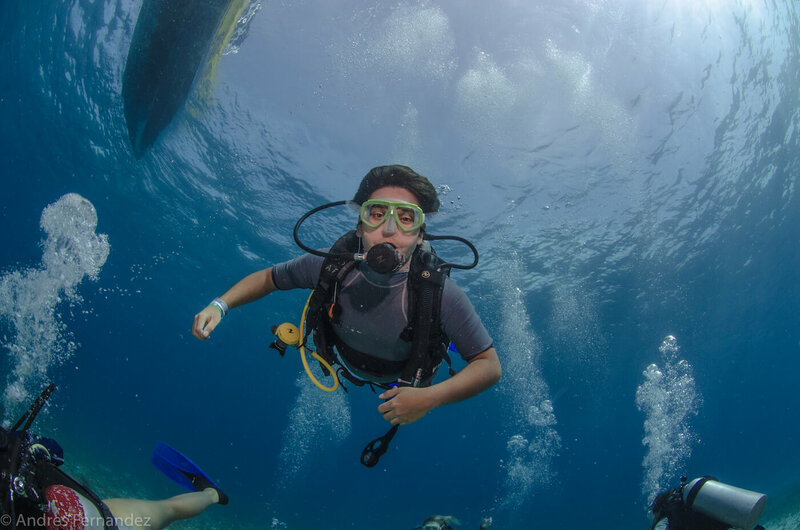 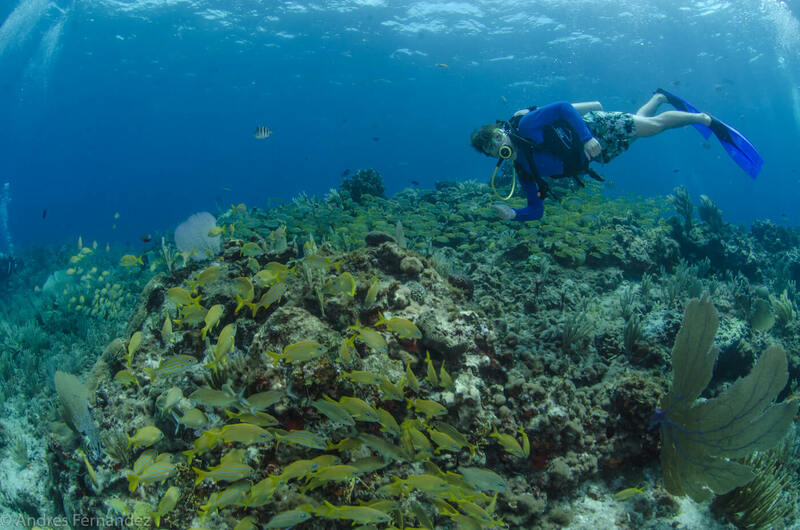 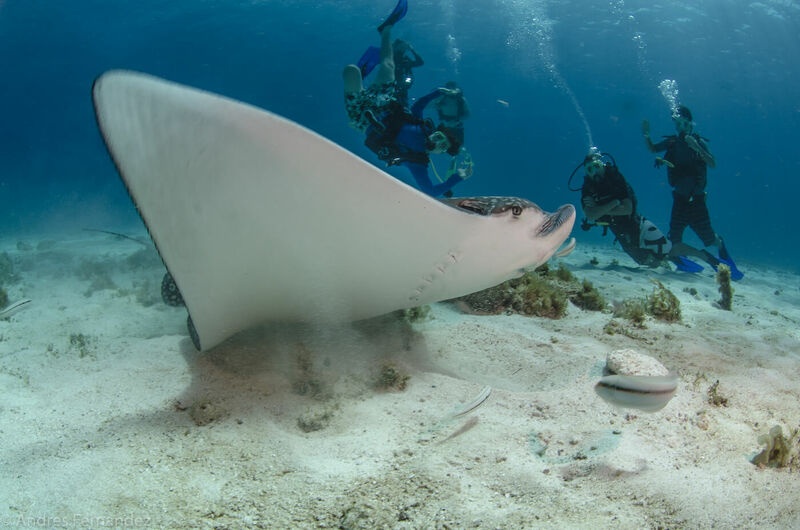 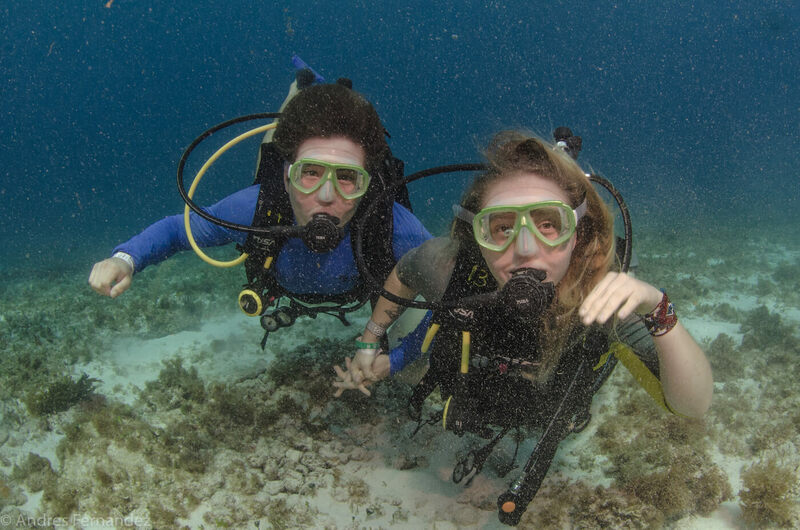 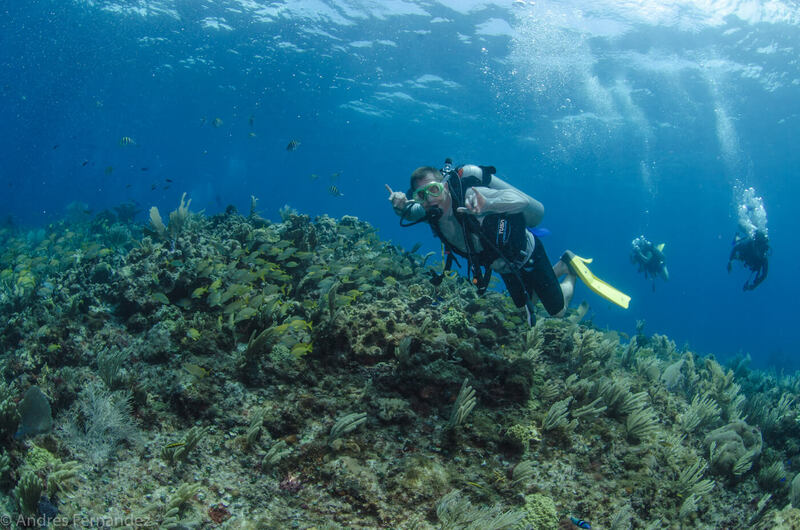 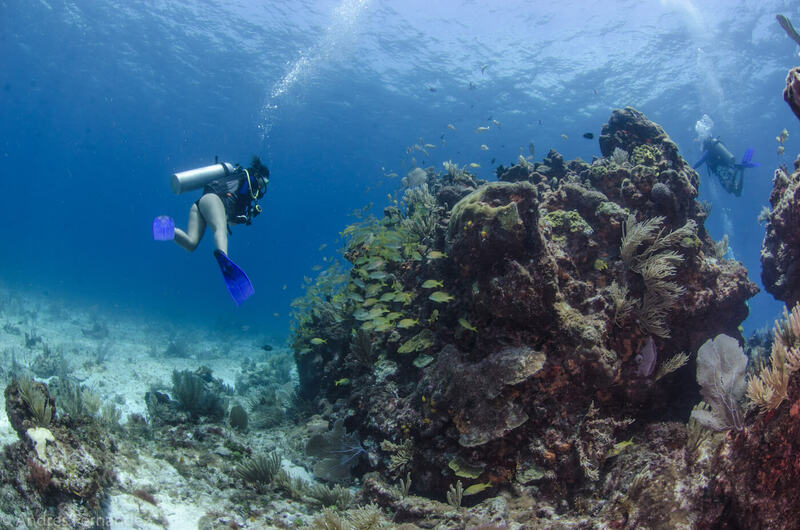 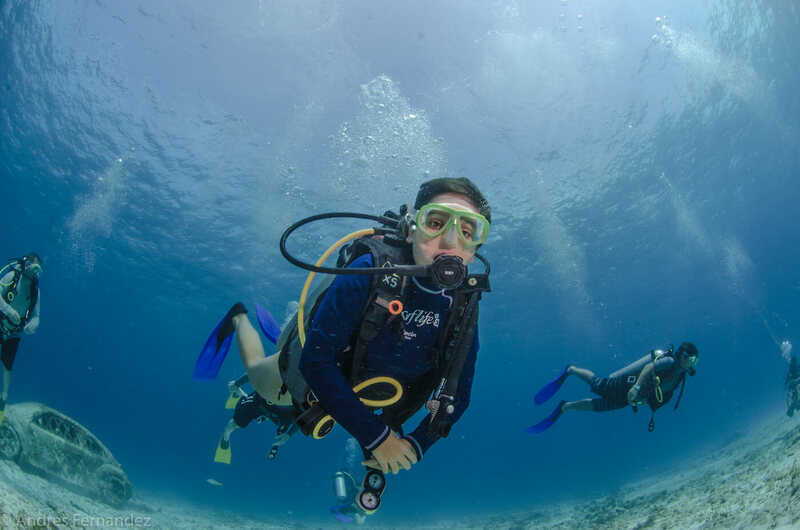 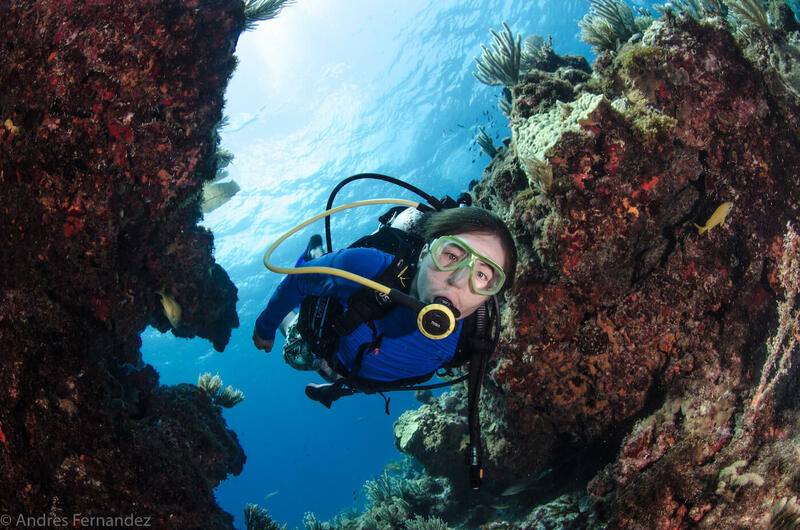 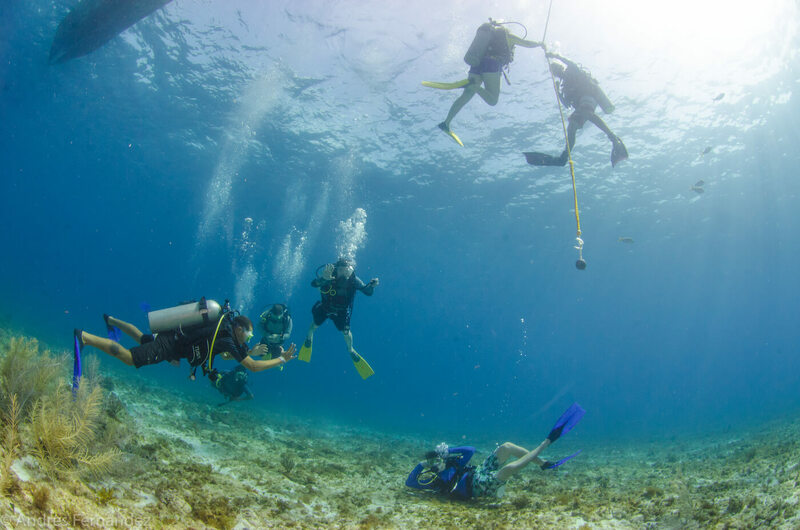 Isla Mujeres simply provides one of the best overall scuba diving experiences, not just in Mexico, but the world. 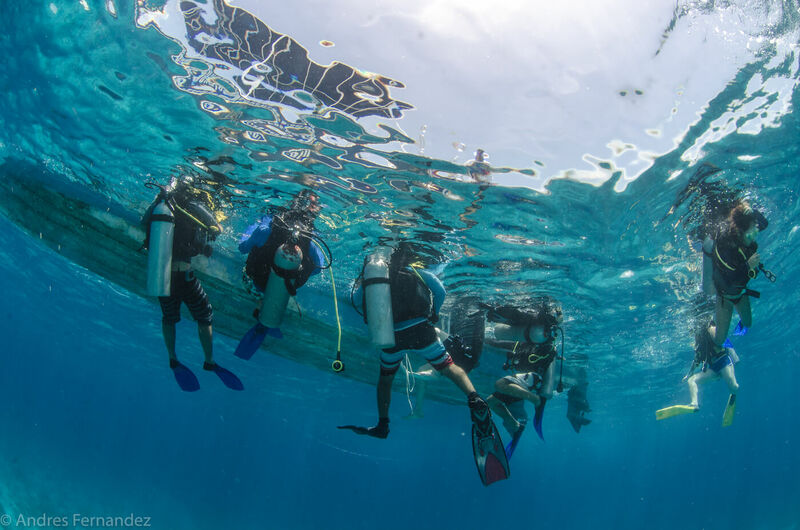 The Cave of the Sleeping Sharks was discovered in 1969 and lies about 60 feet (20 meters) underwater, formed by coral formations that allow divers to get close to the resting sharks. 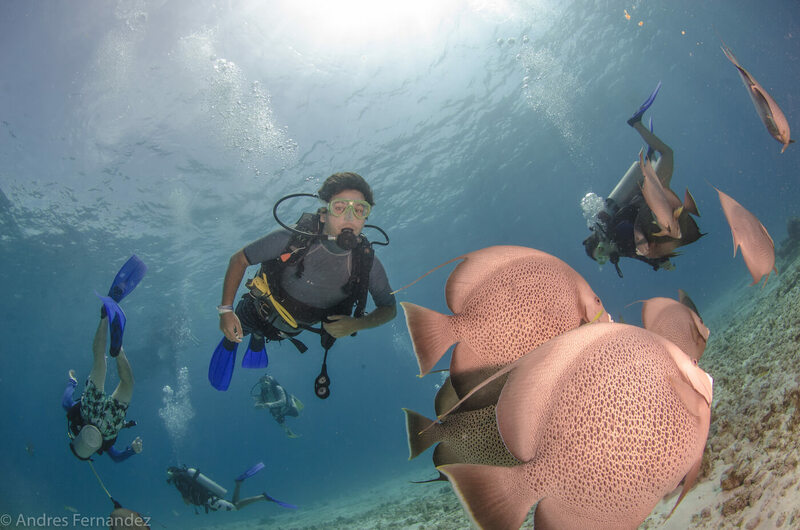 Nurse sharks are most commonly seen in the cave and although they are harmless it is still exhilarating to be able to swim so close to them. 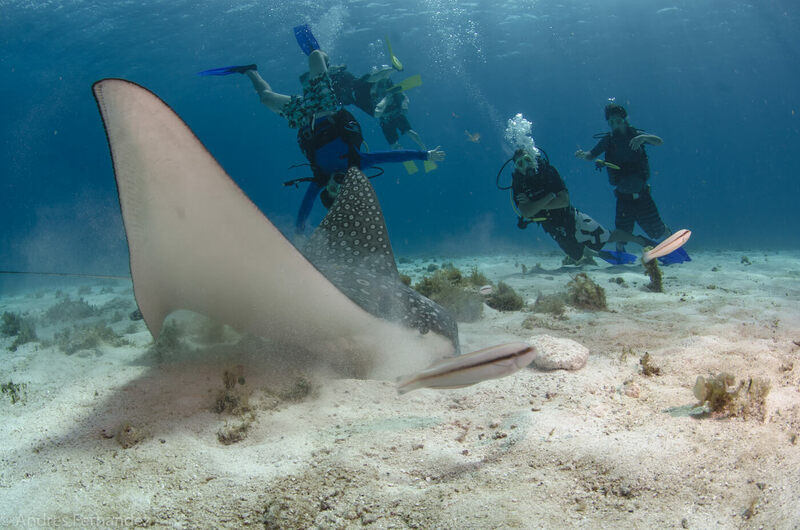 Just 30 minutes off the coast of Cancun near Isla Mujeres lies a popular diving destination called Cave of the Sleeping Sharks, which has baffled marine biologists everywhere. 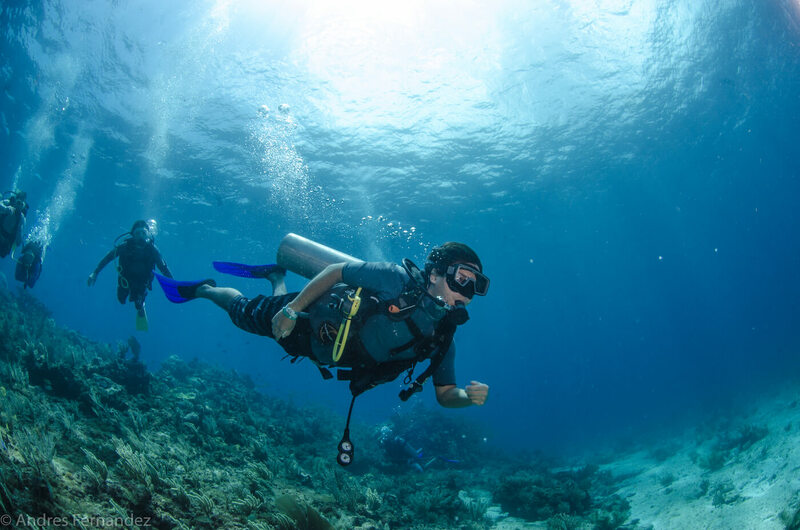 Sharks must constantly be in motion in order to breathe through their skins, but in this cave the sharks can use bubbles from underwater springs to breathe, allowing them to “sleep” completely still.